A healthy immune system is essential for optimal health. Your immune system protects you from foreign invaders that you are constantly exposed to, such as bacteria, viruses, and other toxins. Unfortunately, most of us take our immune system for granted and only become aware of it when it fails to protect us. But with cold and flu season upon us and the various drug-resistant “superbugs” plaguing us today, now is the perfect time to boost your immune system so you won’t fall prey to seasonal infections. If you want your immune system to operate at its peak, take a close look at your lifestyle—more specifically, your diet, level of exercise, the amount and quality of sleep you get each night, and your personal hygiene habits. These lifestyle components help determine if your immune system is functioning at an optimal level. Let’s take a closer look at each one. 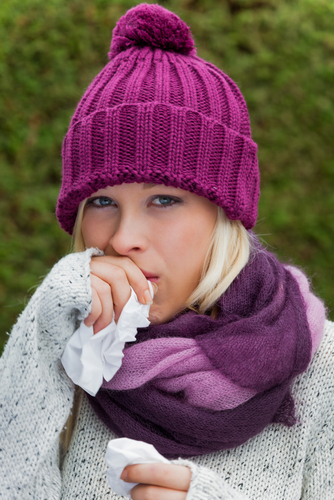 You can’t expect your immune system to be up to par unless you give it the fuel it needs to do its job. And just like a gasoline-powered car won’t run on diesel, your body won’t run properly on the wrong fuel. For optimal immune system power you need to eat a diet that emphasizes adequate lean protein, lots of fresh vegetables, and a little fruit. You should go easy on processed foods and take special care to shun sugar. Research has shown that eating sugar can decrease the activity of the immune system for up to five hours. In addition, the immune system works better when you are well hydrated, so make sure you drink plenty of water—a minimum of eight, 8-ounce glasses each day. It’s no secret that regular physical activity supports virtually every system in your body. Exercise not only aids digestion and elimination, increases endurance and energy, helps burn fat and build lean muscle, and enhances your mood, it also helps boost your immune system. Since the frequency of exercise is key, make sure you choose an activity that you enjoy and can stick with on a regular basis—walking, playing tennis, jogging, cycling, swimming, and dancing are among my favorite suggestions. I recommend exercising most days of the week for a minimum of 30–45 minutes each session. If you haven’t exercised for a while (or ever) you should ease into this healthy habit and consult your physician before starting. Although exercising is important for supporting a healthy immune system, taking time to rest and relax is just as vital. During periods of rest, relaxation, and sleep, potent immune-boosting compounds are released and immune function is enhanced. If you need to de-stress, try a quiet walk, meditation, deep breathing, massage, or a relaxing bath. Try to set aside a little time each and every day for relaxation and stress reduction. Getting adequate sleep is also imperative if you want your immune system to stay in tip-top shape. For most people, seven to eight hours per night should do the trick, but you may need more if you’re under a lot of stress or fighting off an illness. Listen to your body, and do the best you can to rest when you need it. Practicing scrupulous hygiene is another simple step you can take to boost your immunity during the cold and flu season. Although airborne microbes can enter your system when an infected person in the vicinity coughs or sneezes, the most common mode of entry is when you touch your mouth, nose, or eyes after coming into contact with a sick person or contaminated glass, towel, or other item. Multiple studies have shown clear links between infection and personal hygiene. In one, children who regularly washed their hands with soap and water reduced their incidence of respiratory infections by more than 50 percent. Truth is, most people do a pretty lousy job of washing their hands. In a study by the American Society for Microbiology, almost everyone—92 percent—claimed to wash their hands in public restrooms, but only 77 percent actually did. And it’s often a haphazard rinse. You need to really lather up and scrub for a full 20 seconds. (Teach kids to time themselves by singing “Row, Row, Row Your Boat” or the ABCs.) Use good old bar or liquid soap and avoid antibacterial products. Antibacterials contain triclosan, an agent known to increase risk of antibiotic-resistant superbugs. More than three-quarters of liquid hand soaps contain triclosan, so read labels carefully. Alcohol-based hand sanitizers are another viable option. In addition to washing your hands often and other obvious hygiene measures, you can keep germs at bay by using facial dips. Simply fill a basin with warm water and submerge your face for a few seconds washing germs out of the eyes and nose before they have a chance to enter your body. (This works great to flush out potential allergens as well.) Another great option is to regularly use a saline or xylitol nasal spray, which also rinses and cleanses the nostrils. These lifestyle measures will go a long way toward helping you boost your immune system this cold and flu season. In next week’s blog post, we’ll talk about supplements that can help boost the immune system as well. Stay tuned!